Health and safety for both Commercial and Domestic pest control services is so important and that is why Zero Termite and Pest on the Sunshine Coast excel. 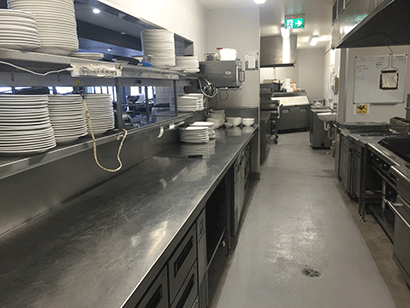 Commercial treatments differ from Domestic treatments in that they are generally control applications on a much larger scale, also taking into consideration high volumes of foot traffic and commercial food hygiene requirements. For large commercial pest control applications planning is paramount, as is training and knowledge of health and safety compliance. Commercial pest control services require a high level of professional discretion with joint focus on both conducting a successful pest control procedure and ensuring that the business is not disrupted. The most common commercial pest control services are for cockroaches, rats or birds. If professional pest control services are not conducted regularly in shopping centers, factories, restaurants and high volume buildings, pest infestations can very quickly grow out of control. To make sure that a commercial business is not interrupted by pest infestations, continuous pest control is paramount. These may be once a month, quarterly or even every six months, depending on the style of the building, type of business and location. 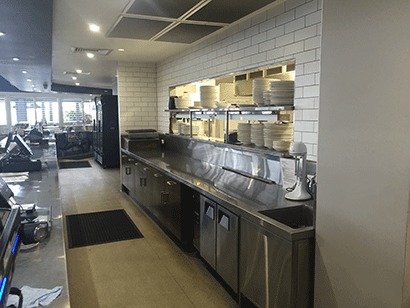 Zero Termite and Pest work closely with Commercial Cafes and Restaurants on the Sunshine Coast. If you seek any advice in Pest Management in commercial situations please give us a call. We are more than happy to offer friendly advice and a free quote. After inspection we will develop a strategy that will allow us to treat your business with efficiency and professional quality. Zero Termite and Pest service numerous Resorts/Strata/Body Corporates on the Sunshine Coast (see testimonials). We offer a flexible friendly professional service and take care to cater for the sensitive needs of all guests. We will discuss your application options with you, develop a regular maintenance plan and work with you to ensure minimal disruption to your guests. Zero Termite and Pest service several Hotels/Pubs/Bars on the Sunshine Coast. Hotel managers don’t have the time to be worrying about Pest Control, we take the worry out of the equation and deliver a professional, scheduled service. We will also provide advice on steps your business can take to help keep pests at bay. Give us a call for a free quote today. All chemicals used by Zero Termite and Pest are environmentally safe and meet all health and safety standards. This is why we are used in Hospitals, Kindergartens, Schools, Childcare Centres and Food outlets all over the Sunshine Coast. We are knowledgeable in Health and Safety requirements and compliance issues within the Care industry. Pests in these environments create unsanitary conditions that can create serious implications to both business and clients. Zero Termite and Pest provide the most effective, ethical service to manage your pest prevention on the Sunshine Coast. Please give us a call for a free quote.